Engage was thrilled to launch the limited edition Whittakers Toffee milk chocolate. Getting as much social media and street attention as possible. Engage took ownership of everything from makeup, to wardrobe, locations, horse and cart and of course free chocolate. 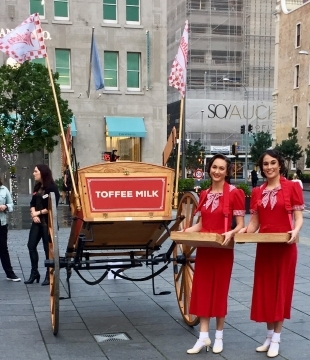 Starting in Britomart’s Takutai square, early rise we smothered all Britomart commuters with free chocolate bars and a chance to see an epic designed horse and cart set up. After a few hours the horse and cart made its way up Queen St attracting huge crowds and more people gunning for chocolate. 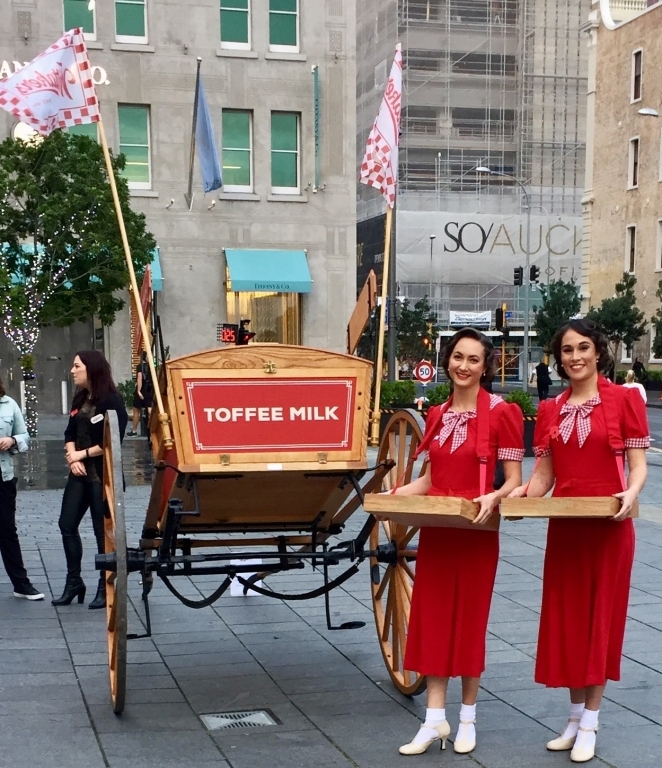 The final location was Aotea Square where we did live Facebook videos, let people take photos with staff and horse, and of course handed out even more chocolates! Huge social media presence, 4000+ chocolates given out, and great continuous sales throughout the span of the product.